If you feel that the audio quality of your computer or laptop is underwhelming, then it’s time to invest in some PC speakers. Dedicated speakers will definitely upgrade the audio quality. There’s a broad range of brands on the market, such as Panasonic, Audio Technica, and Korg. In this article, we’re going to explain how to choose a quality speaker, and also introduce a few of them. 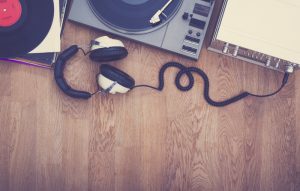 Everyone has different preferences when it comes to listening to music or watching videos. That’s why some PC speakers, even though they’re great, aren’t recommended for everyone. Continue below to understand the differences in order to discover the speaker for you. Listening to audio coming from your PC requires a speaker unit, and by combining it with an amplifier and USB DAC can enhance the audio quality even more. The basic configurations of a PC audio are the following: active speakers, a USB DAC + speaker, and a USB DAC + passive speaker + amplifier. 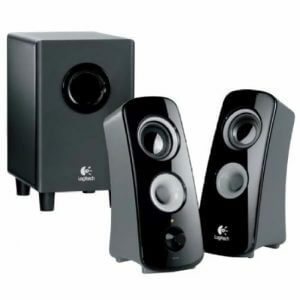 Active speakers are speaker units that either come as one or two units. The main body holds the amplifier, which is the part of the speaker that intensifies the audio. Most active PC speaker models tend to have a built-in dial or knob to control the volume. Speakers without a built-in amplifier are known as “passive speakers,” and they require a separate amplifier to reproduce audio. The USB DAC is a device that converts audio coming from the speaker to the PC. Users have more control over the audio with this device. If you want to enjoy high-resolution audio all the time, then it’s best to go with this type of PC speaker. 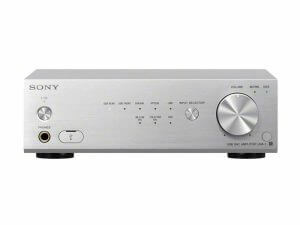 You can even play PCM or DSD audio formats with this device. The PCM audio format is a high-resolution file format for listening to audio. It has a value of 192 kHz / 24 bit. For those who don’t know much about the technical jargon of audio geeks, the figure means that it has a higher clarity than your standard MP3 files. Also, the higher the number found on the file, the more precise a sound is reproduced. As for DSD files, the bit rate is fixed at 1. Therefore, the figure found in DSD files will usually come with a 2.8 MHz reading. 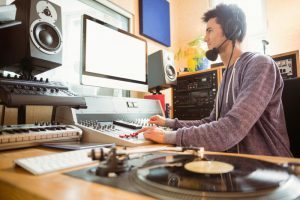 Although PCM and DSD files are both classified as high-resolution formats, they’re still a bit different. The DAC function of the unit is originally found in many computer systems. It’s also found in most active speakers on the market. 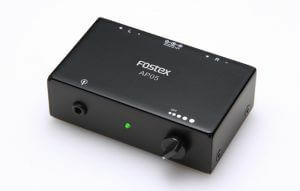 However, the USB DAC device can give users and listeners a high-quality audio. Furthermore, it can produce audio with far less noise compared to active speakers. This configuration combines an amplifier, a USB DAC, and a passive speaker. It doesn’t rely on just the functions of the speaker, but on the how you customize it with a USB DAC and an amplifier. This is recommended for audio professionals. The quality of the PC audio environment heavily depends on the device delivering the sound. The different components of a PC speaker offer a mixture of audio qualities. 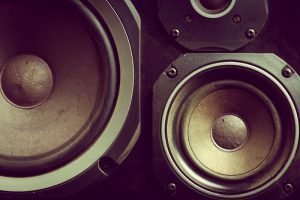 Let’s check out the basic factors that contribute to the overall quality of the audio delivered by any given speaker. All audio equipment will have a specification designated as Hertz (Hz). Hz is the numerical value and the frequency that specifies the playback quality of the bass and treble frequencies of the device. If it has a low number, then it’s going to generate more bass. On the other hand, if it has a higher number, then it can eke out more highs. Bass ref means “Bass Reflex,” and it refers to the speaker’s ability to reflect (reflex) bass. The low-end part of the audio frequency is an indispensable part of the whole audio experience. However, there are some individuals that want to emphasize the bass more than the other parts of the audio spectrum. For individuals who want their devices to dish out power in the bass, then it’s best to choose a bass-reflex speaker. Speakers will tend to deliver sound from the front and rear. However, bass-reflex speakers have an architecture that allows audio to bounce or reflect the sound from its back before pushing it to the front. As a result, it’ll not only deliver a “meatier” bass, but it also distributes the entire audio spectrum in a clean manner. What does it mean? 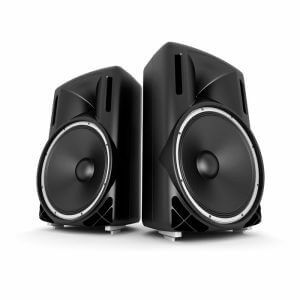 It means that bass-reflex speakers do deliver more power in the bass as compared to other PC speakers. However, the bass levels don’t muffle out the vocals, treble, and other audio frequencies in the process. If you listen to high-resolution audio on an ordinary PC speaker, chances are you’re not getting the full experience. 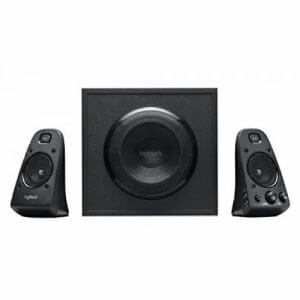 To enjoy the whole breadth of the glorious sounds brought by high-resolution audio formats, then you need a PC speaker setup that can effectively handle the file. An audio environment consisting of a PC speaker, a USB DAC, and perhaps even an amplifier will bring you the best experience for your high-resolution files. Volume is also another integral part of the entire audio environment. It wouldn’t matter if you have a PC speaker that can give the best quality sound if you can’t hear it. If you’re just a casual listener, then there are options available for you that won’t hurt your wallet too much. 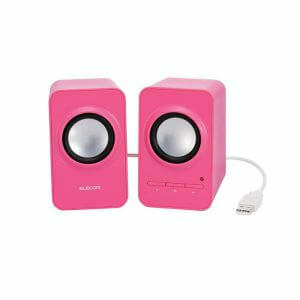 There are simple USB PC speakers that you can find all over the market. 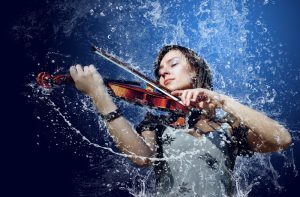 While these models don’t provide the best in control and clarity, they do offer a straightforward choice to people who just want to listen to their favorite tracks. Most PC users will have plenty of things on their desks. These items include books, writing utensils, office equipment, and perhaps even a metronome, just to name a few. As such, it’s important to choose PC speakers that have the right size for the environment. 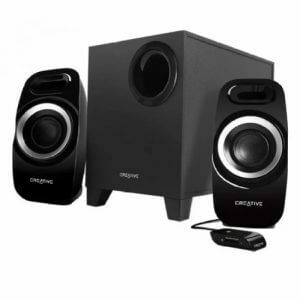 Some audio lovers even go for compact PC speakers because it allows them to move the device however they wish. As such, the speaker won’t get in the way of other things, especially regarding valuable desk space. Note that there are two types of connections for power for PC speakers: connecting via a USB port or through the earphone jack, and models that connect straight to a nearby power supply. 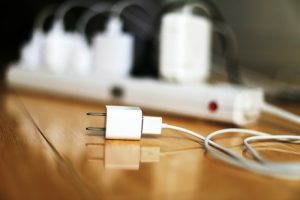 Choosing a speaker that connects straight to a power supply or wall outlet requires you to check if there’s enough distance from the power source to your computer. Likewise, if you’re choosing a USB-powered PC speaker, then make sure that there will always be an available port for the device. Additionally, if you’re adding a USB DAC and an amplifier to the environment, ensure that there are compatible output terminals for these devices. For instance, if you do have a USB DAC or a digital terminal found on your amplifier, then you can’t connect to the TV. As a result, it might disappoint some because you can’t use the speaker setup with your TV. In this segment, we’re going to tell you our top picks for the best PC speakers found on today’s market. We’ve already considered all the important factors when we made our selections. So without further ado, let’s get right into it. The Inspire T3300 2.1 Speaker System by Creative produces a “meaty” sound. In other words, it delivers powerful bass for each track. Playing video games or watching action movies with this speaker and subwoofer set will get you right in on all the action. The sound quality delivered by the Inspire T3300 may have a powerful bass, but it doesn’t muffle the rest of the audio spectrum too much. However, there is a downside to this PC speaker system, and that’s the subwoofer. The subwoofer performs well, it’s just large and bulky. Hence, moving it around might become a hassle. If you have a permanent place for a PC speaker environment and you’re the type who wants powerful bass signatures, then the Inspire T3300 might become your best bet. One look at the e25 Luna Eclipse from Edifier might be enough to fall in love with it. Try listening to some of your favorite tracks with these PC speakers, and you might fall in love with it even more. 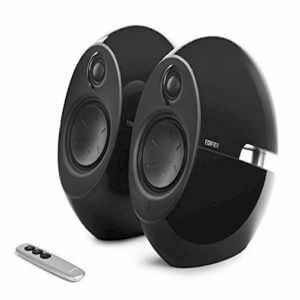 This pair of PC speakers carries an excellent build quality, delivers an outstanding bass, offers a clear midrange, and it even allows for a wireless Bluetooth connection. However, the treble might be a bit too much. Also, the exposed tweeter can become a hazard in some situations. If you have a place for these speakers that you won’t have to touch it too often, then you might consider making this your best choice. If you want to have a pair of PC speakers that takes on a unique look, then consider getting the KEF Egg. 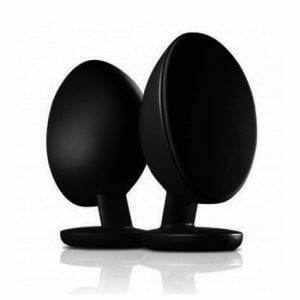 This pair of speakers looks just its name – a pair of really large eggs. They may look like large pieces of dairy products, but their sizes put them in the compact speaker department. However, don’t be fooled by its simplistic nature. The Egg can dish out a deep soundstage. Also, the sound quality is beyond immaculate. Still, individuals who might be looking for a budget-friendly option may want to look somewhere else. Also, it doesn’t carry wireless capabilities despite its hefty price tag. The Sounsticks III by Harman Kardon looks like it came out of an alien mothership. In fact, it doesn’t look like a PC speaker system at all. For individuals looking for a unique “flavor” for their PC speakers, then you might consider getting this system. Go beyond its looks, and you’ll greet your ears with a luxurious experience. Each speaker carries a 2.1 system with four 1-inch full-range transducers. These elements allow the units to dish out as much sound as possible from the speakers. In other words, the volume levels are loud. There’s also a minimal amount of distortion when you’re playing audio at unsafe volume levels. When you look at the market for new PC speakers, you’re going to get flooded with high-end options. As you look at your budget, you’ll see that going for the high-end route isn’t possible at this time. Don’t worry because there are budget-friendly options out there like the Z323 by Logitech. This speaker system allows you to get that balance but the still powerful sound you’ve been looking for in a pair of speakers with a subwoofer. It even has enough power in its volume to fill a large room with sound. Still, don’t expect much quality in this particular speaker system. After all, you do get what you pay for when you buy the Z323. One look at the price tag of the BeoSound 2 from Bang & Olufsen is enough to make anyone walk out of the store without buying anything. Make no mistake as this speaker is at the upper echelons of the high-end market. Audiophiles who don’t mind spending the extra cash to get this expensive beast will give their ears an absolute treat. First of all, it can cater to wireless connections. Hence, you can even play your favorite tracks straight from your smartphone. The sound emitted by the BeoSound 2 gets thrown in a 360-degree radius. 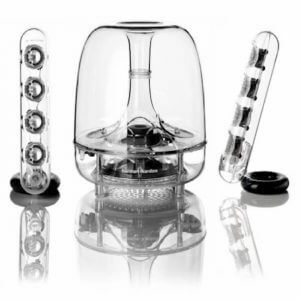 Therefore, it has no problem filling an entire room with its clear and powerful sound. Logitech markets their Z623 as a speaker system fit for the home. Not only is it great when connected to your PC, but it’s also flexible enough to go with your home entertainment system. This speaker system is also downright beautiful for your eyes. Also, it caters to different audio inputs like 3.5-millimeter and RCA cables. As a result, you can plug in three different devices into this speaker system at the same time! But wait, there’s more; the Z623 offers a beautiful surround sound experience the likes of which many similar speakers fail to reproduce. If you want a surround sound for your PC audio system, then look no further than this setup. We’ve carefully considered all the items on this list before putting them on this page. However, at the end of the day, the decision can boil down to personal preference. One person may like to listen to high-resolution audio whereas another would just want a casual listening experience. If you can, you should check the quality of audio from the speaker of your choice by going to a local shop. Try to do a comparison of these devices and select which one is the best for your personal audio needs.